Trouble is brewing in the city beneath the black sun. Different factions prepare for bloodshed while the heroes who might once have held the peace are scattered, lost, or dead. Dangers amass from all sides and storm clouds churn overhead. Before, each man and woman was on their own in a hunt for survival. That is no longer an option. A side must be chosen, and a war must be fought. War has come to the city beneath the black sun. Death squads roam the city, searching for easy prey. But one group of ill-meaning thrill-seekers is about to learn the hard way that there are some places you should not go, and some sins that will never be forgiven, when they venture into the sewers. Into…the death-tube. 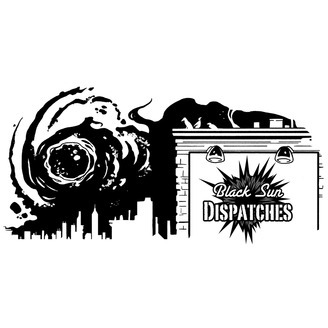 Black Sun Dispatches is available via iTunes! Please rate and review the show to help spread the word! 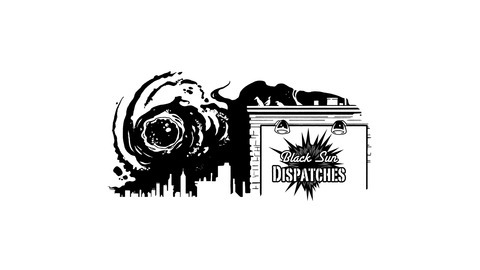 For news, updates, and other weirdness, you can follow us on Twitter at @BlackSunShow. You can follow me on Twitter at @TheTrueBrendanF. And a huge thank you to the entire Cinepunx team for making the show possible!